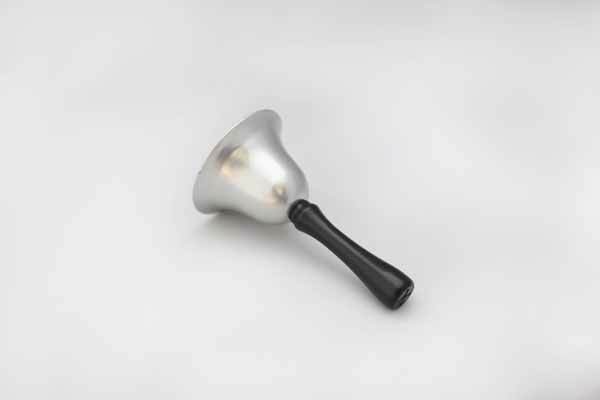 Height: 4 1/16", Diameter: 2 1/4", Handle Length: 2 3/4"
This tea bell has a solid steel bell and black handle. This bell will grab attention, whether you are ringing it for service or calling family for dinner. Another quality product made in America.